This post is the second in a series on furnace maintenance, seasonal startup, and high efficiency gas furnaces. If you haven’t read part 1 yet, I recommend you do before continuing. Fortunately, the pros at Polar are here to get your system back up and running as soon as possible. If your furnace goes out on a weekend or holiday, you’re probably dreading the extra charges your HVAC company is going to pile on for them to come out during “special hours”. Not with Polar! You pay the same whether it’s Monday morning at 10am, Sunday, or Christmas day. Furnace technology has come a long way over the past couple of decades. Since homes in New Mexico primarily heat with gas, there are a lot of old units out there that could probably do with an upgrade. What is a high efficiency gas furnace? A high efficiency gas furnace has an AFUE rating of 90% or better. This means that for every 100 BTU of gas flowing into the furnace, 90 or more BTU come out as heat in the home. Some modern furnaces even have an AFUE of 95% or better, exceeding the current standard. AFUE ratings have been steadily improving for the last 40 years or so. Back in the mid twentieth century, it wasn’t uncommon to find furnaces operating in the 50% – 60% AFUE rating range. These systems are dinosaurs by modern standards. Even if your system is from the 80s or 90s, it’s likely far less efficient than what is available on the market today. Since heating and cooling make up around half of a modern homes’ energy consumption, efficiency in these systems can mean a big savings in utility bills. Check back soon for Furnace maintenance, startup, and high efficiency furnaces – part 3. 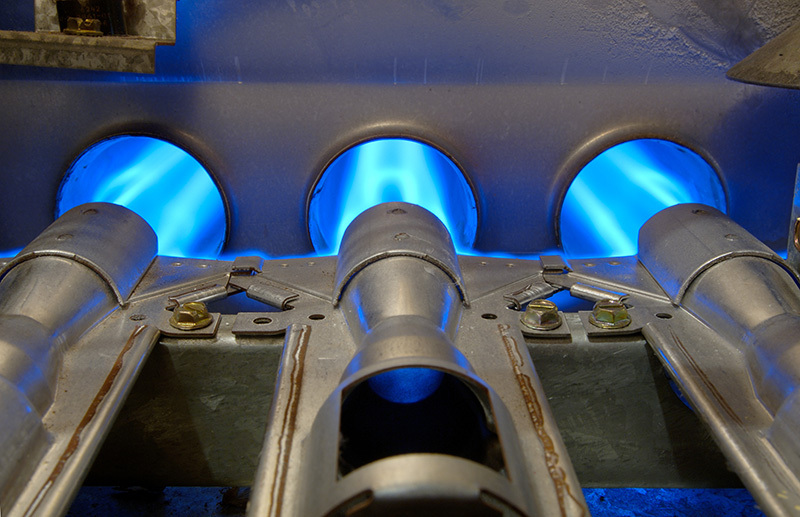 In the meantime, check out our page on high efficiency gas furnaces.